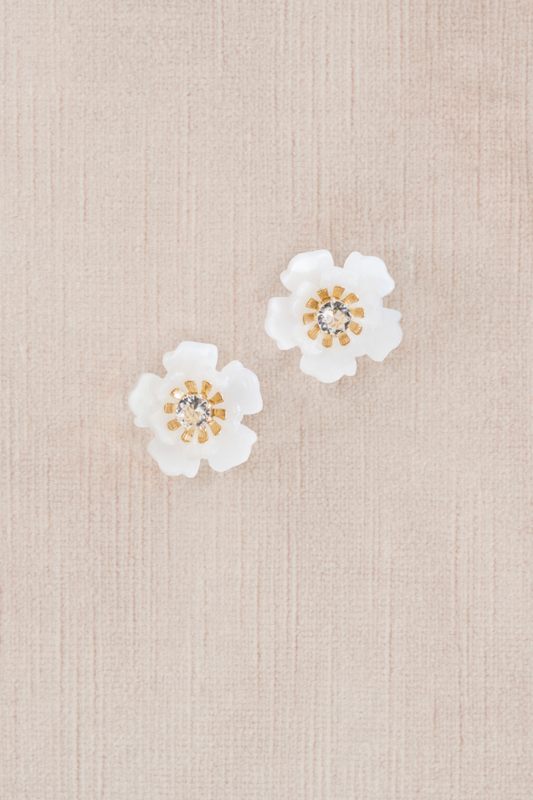 Give into your romantic side with these exaggerated 3D flower earrings centered by goldtone petals and a clear round crystal. These pretty earrings are part of an exclusive collection celebrating romance and femininity for every moment. 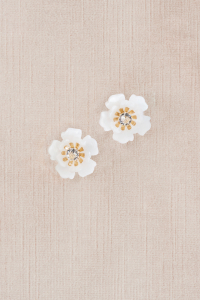 Love pairing these pretty earrings with a feminine top or a summer dress!